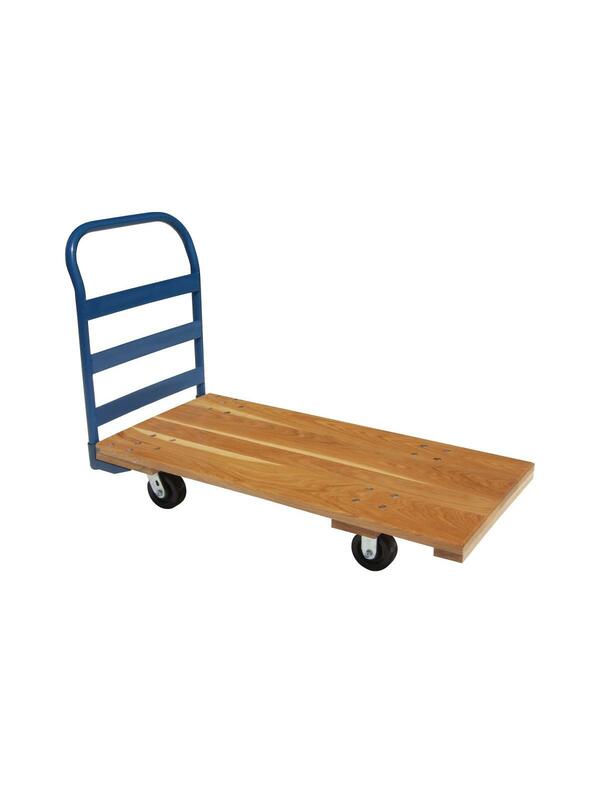 Medium Duty Platform truck features a 4/4 kiln-dried hardwood deck made from select red oak, white oak, or ash. All wood frame. Handle has three heavy duty cross straps for added durability. 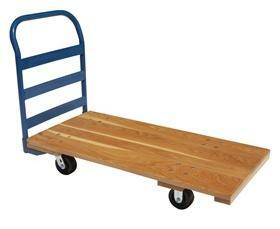 Rolls on 5 x 2" double ball bearing polyolefin wheels, (2 rigid, 2 swivel). Other wheel options available. FOB Shipping Point.